You might be surprised to hear that your beliefs affect your life in every way. Because from the time you are born, beliefs shape your perception of the world. And your perception is your reality. That is why it is of the utmost importance we notice our own beliefs and get to know their content, so that we may consciously understand how they affect our reality. It is only when we become aware of our beliefs that we are able to change them. Each one of our beliefs affects our perception like a lens affecting the light passing through it. Just like when you put red sunglasses on the world looks red, when you put a belief on your perception the world will seem to be filled with the reality of that belief. In Absolute Truth, it is through the lens of belief we create and experience our reality to be. Let’s discuss a person, for instance, who believes they have severe anxiety and that their anxiety stops them from doing things they want to do. Affected by this belief, your perception will create and affect your life because that belief literally changes your perception of the world. And as your perception of reality changes, the way you behave in that reality changes as well. How would this belief affect the life of this person? Because this person believes they have severe anxiety, they will see, hear, feel, taste and smell the things that substantiate that belief. The belief changes their perception of the world so that they see a world full of worries and stresses. 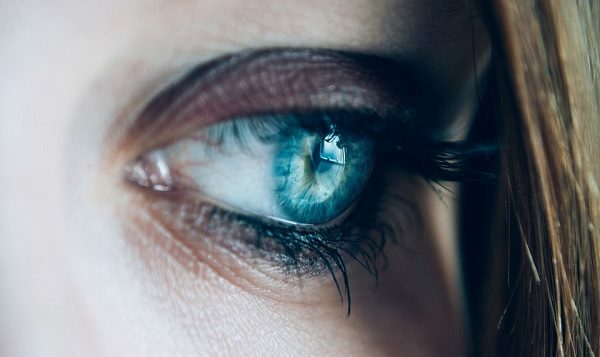 That person’s belief affect their life, affecting their perception of the world so that they see all the things that cause them to feel anxiety. Maybe they have social anxiety, in which case they will perceive other people as a source of their anxiety. Or they have financial anxiety, and every time they think about buying something they feel anxiety because their belief demands them to see the world that way. People who believe they are depressed will find things to be depressed about. People who believe they are happy will find things to be happy about. People who believe they are successful will see all the successes they are achieving. Simply put: Your beliefs affect your life by making you create and perceive your reality and the world in a way that makes that belief appear as true – as an absolute. A big claim? Perhaps. But science has proven how beliefs affect perception. The affect beliefs have on our perception begins the moment we are born . Actually, there are many ways beliefs are created. Our family, environment, life events, and even our imagination can create beliefs. And these beliefs affect our lives each and every day. Information from the outside world comes to us from our senses. But before we become consciously aware of that information, it goes through a filtering process. That filtering process is largely based on our beliefs. The mind will filter-in any evidence that a person’s beliefs are true, and will filter out any evidence that a person’s beliefs are false. So, beliefs affect our lives by being the filters on our perception of reality. One of the best examples of this process is placebos. Countless scientific studies have shown how a person can overcome illness by being given a placebo, even though there is no scientific reason why the placebo would work. So how do placebos work? They work because we believe they work. And startling as it may sound, it truly is as simple as that. When we are given a placebo we believe we are going to be made better. This belief changes our perception of the world (and of ourselves), which actually causes us to truly get better. Now imagine how that same principle affects other areas of life. imagine a person who believes they are a failure. This person will perceive the world as a source of failure. They will continually look for ways in which they have failed. And because of this they will continue to fail. But what if they were given some cure for failure, a placebo, something to make them believe that they are no longer a failure, something that changes their perception of reality into one more conducive of success. In this case, our hypothetical individual would believe that they were no longer a failure. They would start to believe they are a success. And that belief would change their perception of the world, making them see the world as a source of success. The scientific community is rife with stories in which a placebo causes a person to believe they are getting better. The belief that the person is being healed has such a powerful effect that it even causes changes to their biological responses, and those changes end up healing them. So, as you can see, your beliefs affect your life by changing your perception of reality, which in turn causes your behavior to change, and can even cause your bodies to change biologically too. Scientific studies have shown that the way we perceive the world can completely change our physiology. Psychiatrist Arthur Barsky has claimed that it is our beliefs, and only our beliefs, that make a medication work or fail [Robbins A. Unlimited power: The new science of personal excellence. UK: Simon and Schuster; 1986.]. But we’re not here to talk medicine. Indeed, the medical field is just one area in which beliefs affect life. Because in truth, beliefs affect life in every way. Hence why everyone from professional athletes to actors to business executives all work on their self belief—because they know that their beliefs affect life for them in every way imaginable. 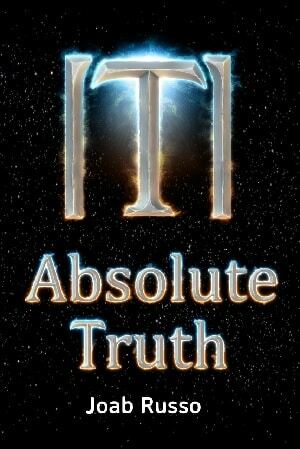 I was struck recently by how much of an affect belief has on life when I read Absolute Truth by Joab Russo. It’s a book all about how beliefs affect life by changing our perception of reality. This book opened my eyes to the affect of beliefs on our lives. If you’re looking for a book that will open your eyes to the power of consciousness, belief and perception, you might like to try Joab Russo’s , which is available on Lulu, Amazon and other book stores. In Absolute Truth, author Joab Russo demonstrates how absolutely everything in your world is created through your perception, as it interplays with your beliefs to create all of your own reality. Your personal reality, Russo explains, is created through a combination of your awareness, your perception and your beliefs. Only by noticing, identifying, addressing to and accepting your beliefs can you truly and sustainably change your life. I had the pleasure of reading Russo’s book over the past few days. It’s a real eye-opener. Gargantuan in scale. In 370 (ish) pages, Russo covers pretty much the entire construct of your perception of reality. Absolute Truth shows you how literally everything in your personal reality is created through the combination of belief, perception and consciousness. Russo takes you right from birth to death, and everything in between. And in every word it is clear that Russo is highly passionate about his work. It ‘s a passion that is infectious. You can’t read Absolute Truth without feeling Russo’s passion for his work. Russo conveys of an insofar unprecedented explanation of reality, one that you will find eye-opening. He shows how the authorities we revere (like religion and even science) are based in belief, and how even your own view of yourself is shaped and moulded by your personal beliefs. The takeaway point is that your reality is created through that trinity of conscious, perception and belief. Also I particularly enjoyed the sections on emotions and interpersonal communication. Although I will warn that this book is not easy reading. Russo is relentlessly verbose. Concepts that could be expressed in everyday language are instead written like legalese, and while Russo challenges science and religion, I feel his reasons for doing so are not adequately substantiated. I also wish Russo had shared more of his personal life and more about how his insight have helped him in his own life. That would have added a more personal feel to the work. It also would have provided a narrative, which would make it much more of a page-turner. That said, you can’t help but admire how daring Russo is in his attempt to communicate to the reader the seismic effect of beliefs on life. In that, he deserves to be commended, even if I do wish that this plethora of insights were given a more human feel. Either way, as Russo says, your beliefs affect your life by changing your perception of reality. So how do you control your beliefs? Here’s the good news about your personal beliefs: You can change them. You can change your beliefs, and in so doing you can change your perception of reality. Here are three ways to change your beliefs so you can enjoy a more positive perception of reality. Naturally you will want to change negative beliefs about the world and make them more positive. That way you will start to perceive the world in a less negative, more positive way. The best way to change your beliefs is to simply start to challenge them. To do this, look for evidence that contradicts your negative beliefs. Aim to perceive reality in a different way. For instance, perhaps you believe you have anxiety. Don’t let this belief affect your life. Change it. Bring to mind all the times you feel confident. Perhaps you believe money is the root of all evil. Look for evidence that money is a positive thing. Challenge those beliefs by stopping your negative thoughts. You know your beliefs affect your life and your perception of the world. You understand that logically. But funny thing is, you still might not actually know what your beliefs are. Some beliefs are buried far down in the subconscious. Becoming consciously aware of those beliefs can be difficult. 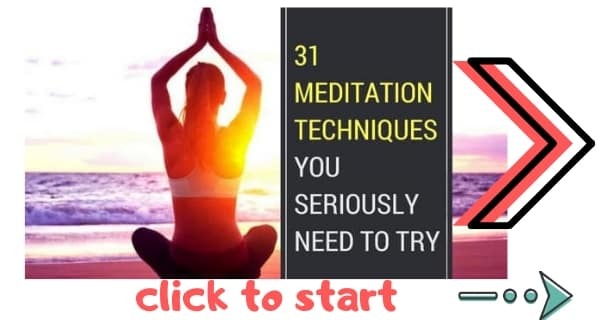 You’ll find that if you practice meditation you will become more aware of your beliefs and of how those beliefs are changing your perception of reality. 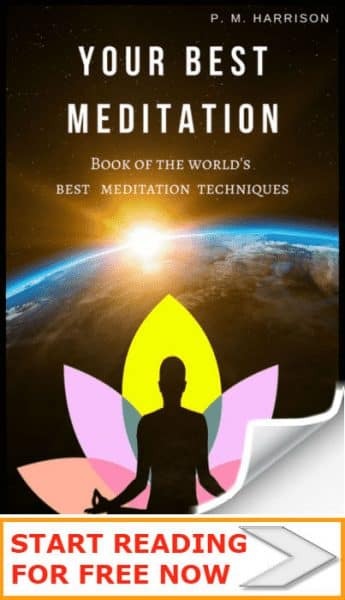 The best type of meditation for this is insight meditation. To elucidate the inner workings of your mind, try meditating on your Ajna chakra. Negative beliefs exist in the mind primarily because of recitation. We constantly recite negative thoughts in our mind, and this causes us to start to believe that those negative thoughts are true. One of the best ways to challenge negative thoughts and thereby change your beliefs is with some CBT exercises. Try these cognitive behavioural therapy exercises. They’ll change your negative thoughts, and from there they’ll change your beliefs and change your perception of the world. You really can’t overstate the effect of beliefs on life. Your beliefs affect your life in every single imaginable way. That’s why most successful and enlightened people challenge their beliefs every day. What are your beliefs, and what affect do your beliefs have on your life?